Welcome to the new AUMaize Designs catalog on ShareCG. This is Chae, the main force behind the design team. I used to be part of the former LA3D team (then known as La3digital Art or just LA3D). I and AUMaize Designs are in the process of bringing this page back to life for you. AUMaize Designs (formerly LA3D) (9 weeks ago) Inappropriate? We are currently working on something special concerning one of our beloved characters. We can''t give away who it is or what it is we are doing, but we know for an absolute fact that you will enjoy it. Stay tuned. AUMaize Designs (formerly LA3D) (2 years ago) Inappropriate? Finally after some time off and away from designing, LA3D is returning to ShareCG. Although most of the original design team has gone on to do other things, three of us still remain and we''ll bring you more of our best stuff. Both for free and sale. We are looking forward to sharing with you all again and we thank you for not giving up on us. AUMaize Designs (formerly LA3D) (6 years ago) Inappropriate? To anyone downloading Braylee for Victoria 4, all of her links can be found within our gallery here on Sharecg, that means the links within zip files have become obsolete. We are going to be in the process of taking out some of our older downloads in our Portfolio (if they are more than 3 years old, for example). Just wanted to give a "heads up" notice for everyone. also be our last for a while. We''re not leaving ShareCG, nor are we leaving the 3D community as a whole. We just need some time off from it all. When you''ve been around and doing this for as long as we have, you at some point just need to take a break or you risk burning yourselves out on it. That is what we are going to be doing. As you guys may have noticed with Aubrey for Michael 4.. we are going towards bringing our story characters out into the 3D world.. we are gearing ourselves more towards allowing those characters a chance to shine and letting their fans get an opportunity to see them "fleshed" out. It is a first for us and hopefully will something you can look forward to. 1st off: We deeply apologize for the problems that occured with the Carousel texture files for the Malizer Outfit. The issue was not on our end. The problem has now been corrected. 2nd: Although sharecg is doing away with the "it pays to share" deal, we don''t plan on leaving. So you will still get the opportunity to add any of our former store products to your runtimes. The decision as to what to do with our store at CP has been made. We are going to be closing it there as well as closing it from our site. With us doing this, we can now bring you the best of our products for free. This includes all of our future products as well. Please feel free to spread the word. With our growing dissatifaction with how Content Paradise are operating things on their site, we are currently working on getting our own store set up to run strictly through Paypal. What this means for you is that all products we have disabled with CP, will be coming over here for you to have and there are 7 of them all together. An update about the Southern Belles V4 morphs. These morphs are Full-body morphs, not just face morphs. When you INJ a morph, over another one, they will overwrite each other. Since these morphs are used with V4''s base, they are custom. We will try to re-create them to use separate Head/Body morphs, but we won''t promise anything. If we are successful, we will release the more …An update about the Southern Belles V4 morphs. These morphs are Full-body morphs, not just face morphs. We will try to re-create them to use separate Head/Body morphs, but we won''t promise anything. If we are successful, we will release the morphs into a full character set and do away with the sets. From Alinna: the issue with the Channel problems in our Southern Belles morph sets, we are aware of the "mixes" when INJ/REMs of the Belles. The Readme explains the issue and what to do about it. We don''t know why this is happening, but we suggest clearing out V4, before INJting another morph. We will try to figure out what the deal is and hopefully correct it. From LA3Digital Art: The countdown to Braylee going to store, has begun. Taking her place here at sharecg is our newest character morphs for Victoria 4. Be sure to collect all six sets of the "Southern Belles". Set 2 has been released. After finally getting the file problem straightened out. Being a limited time freebie (until the 14th of November), we hope that you are enjoying "Braylee" for V4. We will begin releasing Braylee''s replacements once a day beginning on the 9th of November. (there will be 6 sets in all - 4 characters per set). So, be sure to collect them all. These will be permanent freebies. From Alinna: Chaeree told me that some of you were having trouble getting the files for this character pack; after some re-adjusting on the files we are going to try and upload them here at sharecg, again. Hopefully this will correct an irritating problem for all involved. Since alot of people are having problems downloading the files for Braylee; we are going to have to send them to you directly. If you are one of those people with trouble on the files, these files will be on our official site soon. Once we have them uploaded, the link to get them will be listed in the description. AUMaize Designs (formerly LA3D) (8 years ago) Inappropriate? Braylee for Victoria 4 is now available free until the 7th of November. Be sure to get your copy of her before she goes to store. A link to her remaining 4 files is inside the description. The total file size was near 80MB, so they had to be separated. Coming soon, two different character sets for Victoria 4. Braylee for Victoria 4. A character that was designed based on a close friend to one of our designers. She will be available free for a limited time(2 weeks) and will come with her own clothing. No morphs will be needed to work with her. The other set will be known as the "Southern Belles" and will be the 1 of 6. They will more …Coming soon, two different character sets for Victoria 4. The other set will be known as the "Southern Belles" and will be the 1 of 6. They will become available after Braylee goes to store. This post is to let anyone know who downloads our freebies here, the only program that we work with are the Poser products.. we don''t use Daz Studio. We never have. Some of our products will work in that program and some won''t. Please accept our apologies if something doesn''t work inside there. Now available, our permanent free version of "Donavan". This time, we bring him to you in the form of David 3. Check our freebie section to see more. Thank you everyone for making "Donavan" M3 & M4 such a huge success and we hope that you enjoy D3''s version of him. 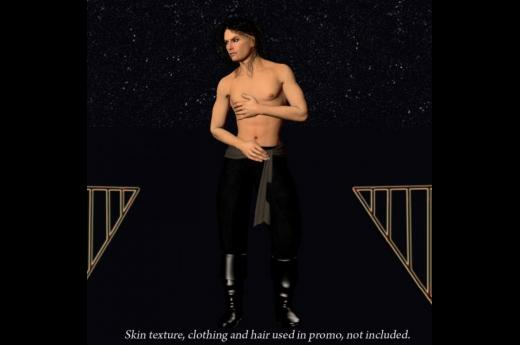 Last minute downloaders, just a heads up.. to get your limited freebie of Donavan for M3/M4, you''ll need to do so before 6pm US Central time, tomorrow evening, because that is when he will be removed as a freebie. Also, a special replacement for him will be announced then. available free until September 15th, 2011, "Donavan" for Michael 3 and Michael 4. Get your copy now before the M3 and M4 version heads to the store. Check our freebies for him. Available now, the new morph pack that contains 8 different characters for M3 and M4. Be sure to check them out. We have a special morph pack treat coming soon for you guys. They were created specifically for a story that our Story projects group is currently working on. However, they will become yours once they are fully complete. No limited time freebie here, it is out way of apologizing for the delay of Averie. Be watching our downloads to get to these hotties when they are at their freshest. Update about "Averie for Michael 4". His limited time freebie release has been delayed due to texture difficulties that we''ve been experiencing. We are looking for someone who would like to try and do his MATs for us. You would be credited for the work and when the character pack finally goes to store, you would not only be compensated for your contribution, but also more …Update about "Averie for Michael 4". His limited time freebie release has been delayed due to texture difficulties that we''ve been experiencing. Coming soon.. we are going to release an 8 sample hair texture set for Bice and OOT''s "Magenta Hair" which can be found on Renderosity. Keep watching our space here for them. AUMaize Designs (formerly LA3D) (9 years ago) Inappropriate? GC is now scheduled to go live at Content Paradise Friday July 2nd, 2010. Thanks to everyone here for making the Free offer a success. We deeply appreciate the response for it. Here''s to hoping it is in sale. With the success that this had as a limited freebie, we are planning to do this again soon. A quick post from us. Be sure to get a free copy of our new. first time ever conforming outfit "Girls_Club" for your favorite V4 characters. It is free until July 1st, then it will be going into out store at Content Paradise. We wanted you guys to get first offering as a "Thank you" for sticking by us. After checking the downloads on certain files here, we have chosen to leave up 15. Chances are your favorite will be among them. If not, check our site for them. Not sure what is going on with our comments page for many of our products here.. some people have been having their comments come up as coming from us. Rest assured, we have never needed to post a comment for any of our products.. we only post one in response to someone else. Our best advice is this, if you comment on a product of ours, just place your name inside the "comment" field. To our downloaders of "Ashlan for M4". His pack has a small update to the makeup files and also includes a link to an add-on pack in the zip file. To get the special link, you'll need to re-download the update.